Permanent Cosmetic Makeup for eyebrows, eyeliner, lip liner and full lips, offers the freedom and convenience from daily makeup application. Athletic or sports people who tend to lose their makeup benefit greatly from these procedures. Contact lens wearer’s benefit from having permanent eyeliner. The physically or visually impaired can always look their best. Alopecia sufferers love permanent makeup. 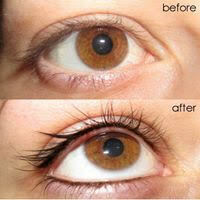 Pigment can be implanted to give the appearance of brow shape and eyelashes. Restoring pigment after surgery: Areola color replacement restores confidence and completes the breast reconstruction. 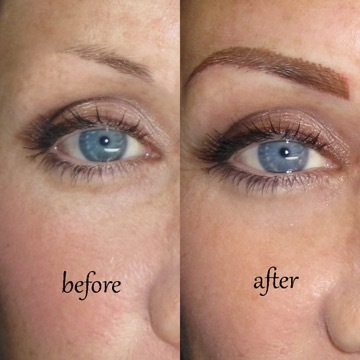 A permanent makeup procedure can give the appearance of hair in the brow line. Anyone who desires more fullness of the brows, especially those, who use a pencil, will love this procedure, saving time every day, and enabling the wearer to swim, play tennis or exercise without smudging or wiping off their brow. Also gives a subtle natural look. This procedure, as well as opening the eye, gives more color and emphasis to the eye itself. Gives more definition to the shape of the lips. The color choice can be natural or more intense. Color is ideal for those who want to retain their lipstick during a corporate lunch or dinner date. In addition, a woman whose natural lips color has faded. The treatment times vary according to the procedure. It is necessary to retreat the area eight weeks after the original treatment. The pigment can then be expected to last anywhere from two to five years depending on the procedure and pigment color used. Gradual fading will then occur during this period. As aging is a continual process, which means natural lightening of the skin and hair, the fading of the pigment gives the opportunity to change pigment color with each re-touch. Dark colored eyebrows may look great on a twenty or thirty-year-old, but not at all flattering by the age of fifty or sixty. The discomfort of the procedure varies from one person to another. Some discomfort is to be expected. The most important factor in choosing a technician is their training and skill rather than cost. Consider the technician’s experience and portfolio. The consultation is of vital importance where confidence in the technician is established. The shape and correct color should be decided leaving no feeling of doubt. 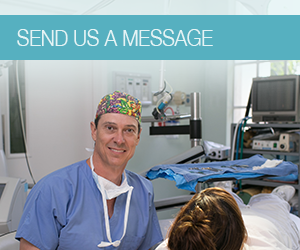 Make sure a follow-up procedure is part of the initial cost. Also, ensure that aftercare advice is provided.